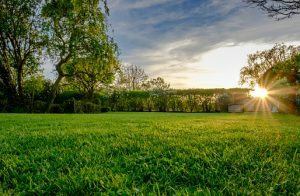 If you are looking to beautify the outdoor space of your home and need a quality name in Lewis Park Virginia lawn service, try the experienced pros at Complete Lawn. We beautify lawns and landscapes for homeowners all over northern Virginia, and we have the know how to turn your outdoor space into an attractive and functional expanse that you’ll love coming home to. Our service will not only dramatically improve your home’s curbside appeal, but it will increase the resale value of your home. Lawn Care. We’ll mow and trim your grass to the optimal height and change mowing direction when we can. We also recycle clippings and weed-whip unreachable areas. We’ll also trim your bushes and keep flowers healthy, with differing and specialized programs that keep weeds and insects away. Landscapes and Hardscapes. We’ll design a well-balanced placement of bushes and shrubs that offer both visual beauty and applicable function. We also install beautiful hardscapes using walkways, patios and retaining walls, and we ensure that there is proper drainage to protect the soil. Irrigation. We’ll irrigate your lawn with a state of the art sprinkler system, conceived by our own Certified Irrigation Designer. We design your system to spread water efficiently and avoid runoff. Once it’s installed, we’ll stand behind our system, and we’ll repair or upgrade it according to your needs. We also wipe out mosquitoes with child and pet friendly oils that keep your greenery healthy and safe, and when winter buries your car in snowfalls, we can use our plows and shovels to get you back out on the road to where you need to be. Our specific programs and years of experience are what sets us apart in Lewis Park Virginia lawn service. Feel free to view this website and learn about our services and see finished work, and contact us today for a complimentary consultation. Envision the stunning new look of your lawn and landscape…we’re ready to create it for you!